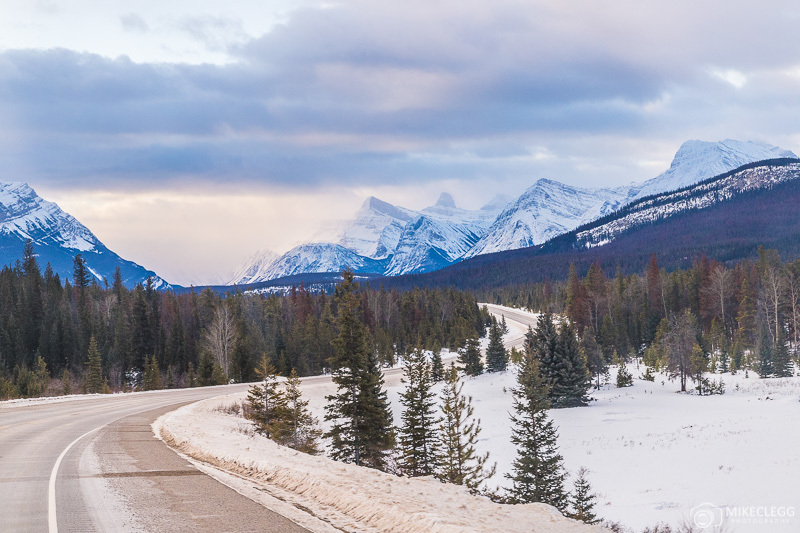 The Icefields Parkway is often referred to as one of the most scenic drives in the world and rightly so. 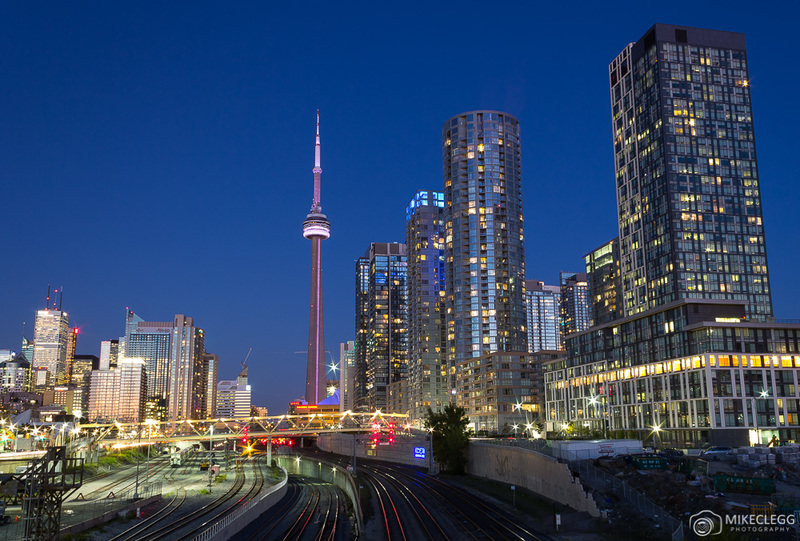 Approx 232km of road will take you on a beautiful journey through the Canadian Rockies, where you will drive along tree-lined roads and pass some of nature’s most picturesque lakes, waterfalls, glaciers and other natural elements. What’s more, you may get to see some of the many species of wildlife that live in this part of Canada, such as bears, bighorn sheep, caribou and elk. 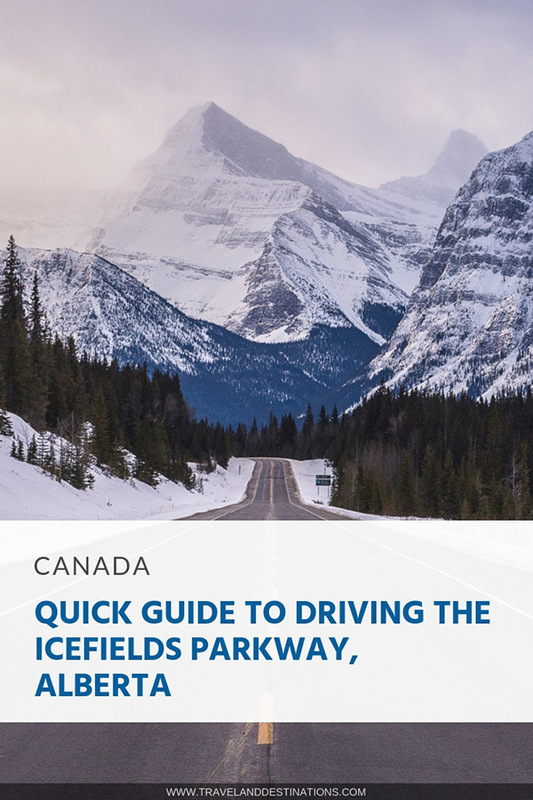 Here is your guide to driving the Icefields Parkway. Including information about the drive itself, a few highlights, permits, staying overnight, wildlife, as well as photography and driving tips. The Icefields Parkway or Highway 93 stretches through the Canadian Rocky Mountains in Alberta between the town of Jasper and Lake Louise. The road passes through both Jasper National Park (in the north) and Banff National Park (in the south). 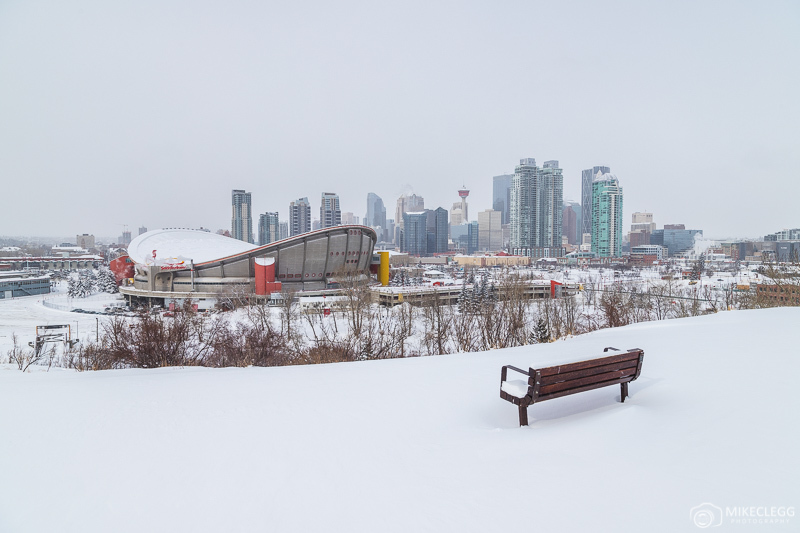 Some of the major cities where you could start your journey includes Edmonton which is near Jasper National Park or Calgary which is near Banff National Park. When taking this drive allow yourself at least 3-4 hours or much more, as you will likely find yourself wanting to stop at the many scenic spots along the way. The Icefields Parkway can be beautiful to visit at any time of year. When you might have snow and frozen lakes in the winter, stunning colours in the autumn, and amazing greens in the spring and summer. If you visit in the winter you may not see the lakes as they can be frozen and covered by a layer of snow, so keep this in mind when you plan your trip. 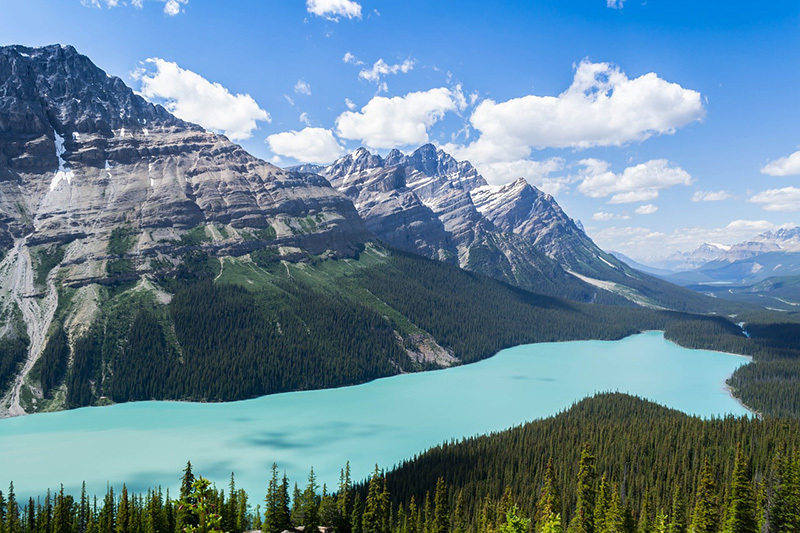 The colour of Peyto Lake is a stunning turquoise colour like you’ve probably never seen before. When seeing it in photographs you may not believe it’s real until you see it yourself. This lake is close to Lake Louise in the Banff National Park. The Athabasca Falls is towards the top of the Icefields Parkway towards Jasper. The falls have a drop of around 80 feet and are one of the most powerful waterfalls in Jasper National Park. Bow Lake is one of the largest lakes in Banff National Park and is towards the south of the Icefields Parkway. From the upper viewpoint, you can see the Wapta Icefield, the Bow Glacier, Crowfoot Mountain and Mount Thompson. Another beautiful waterfall is the Sunwapta Falls. There are two parts to these falls with the upper part having a drop of 18 meters. 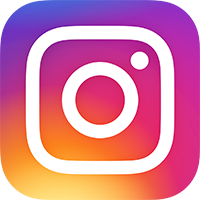 This is a popular location you’ll often see shared by Canadian Photographers on Instagram with an island of trees in the middle which the river flows around. For a great shot see the image by @markjinksphoto on Instagram. The Columbia Icefield is one of the largest icefields in the world covering a huge 230 sq km and has ice up to 365 meters deep. 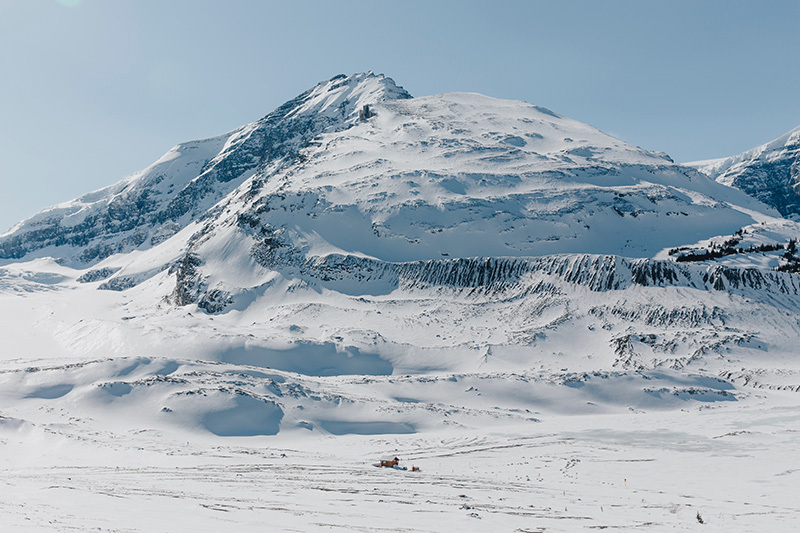 While there check out the Glacier Discovery Centre where you can go on an adventurous experience on an Ice Explorer up to the Athabasca Glacier, then onto the Glacier Skywalk. Head to banffjaspercollection.com…glacier-adventure for more info. To drive the Icefields Parkway you will have to enter Jasper and Banff National Parks. 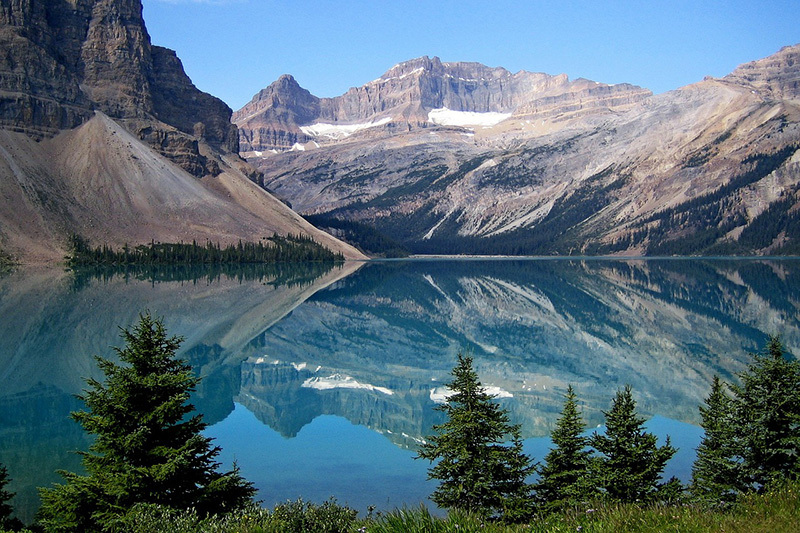 The town of Jasper, Lake Louise and Banff are also within the national parks. 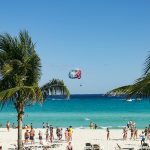 This means that when visiting you need to get a permit and there are price options to pay for individual people, or you can get a group pass which covers up to seven people in the same vehicle. When staying for a few days it’s also worth costing up whether the Discovery Pass would be a better option. This provides unlimited entry for a year from purchase and although you probably wouldn’t be staying that long, it still might be more cost-effective. Again this type of pass is available for individuals or as a group pass. 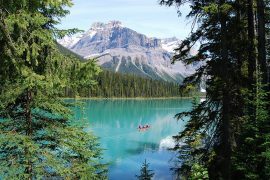 For all the prices and options visit www.pc.gc.ca, select Alberta as the Province, then the National Park (Banff, Jasper). You’ll find very limited accommodation options when visiting the Icefields Parkway in the winter. You should instead stay either in Jasper, Lake Louise, Banff, or further afield and drive in (or through). Start your search on booking.com for lots of places to stay. The summer and warmer months are often some of the most popular times to drive the Icefields Parkway. For that reason make sure you find and book your accommodation as soon as possible. Along the route, you’ll find various hostels including Beauty Creek Hostel, Hilda Creek, Rampart Creek and Mosquito Creek (all by hihostels.ca). As well as some campsites including Wilcox Creek, Wapiti and Mosquito Creek. 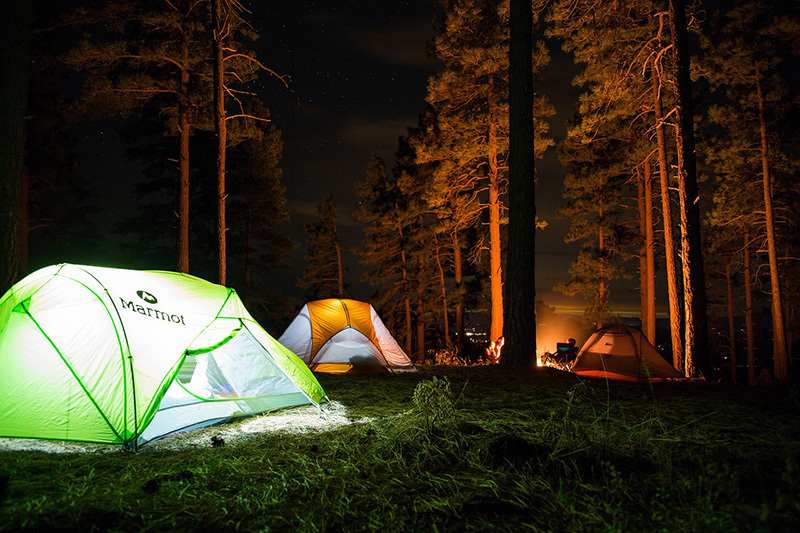 Search on google.com/maps or head to Jasper Campsites and Banff Campsites to find and book a site. The Canadian Rockies is home to a large amount of wildlife. During your visit, some of the animals you may get to see includes wolfs, elks, coyotes, bighorn sheep, mountain goats, moose and caribou. If you do spot any wildlife and you want to stop then pull over in a safe place and keep your distance. As well as this don’t attempt to feed the animals. Finally, if you spot any wildlife on the road don’t beep your horn or attempt to drive past, just wait patiently and they will likely move in their own time. It can sometimes be frustrating when you see wildlife far in the distance, so consider taking some good quality binoculars , and if you are into photography then a decent telescopic lens . This means that you’ll be able to enjoy watching the animals or taking photographs and still stay safe. For lots of wildlife safety tips follow the recommendations from Parks Canada on www.pc.gc.ca. 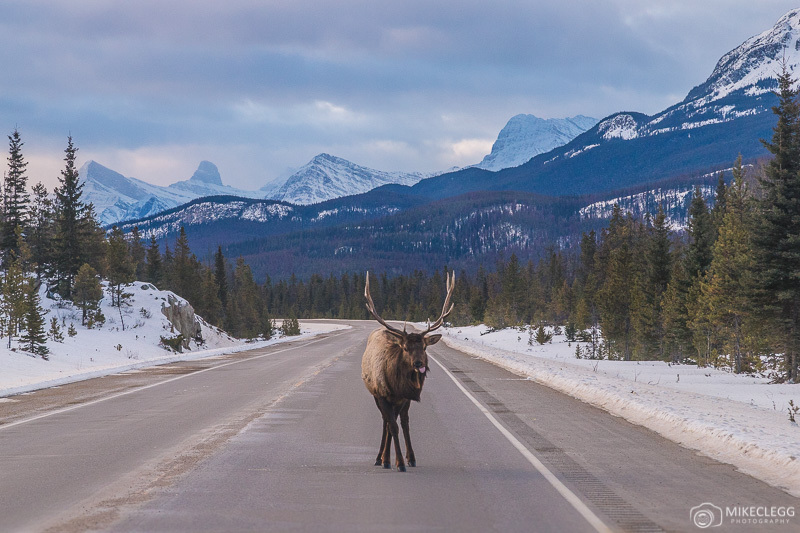 Here are some tips and general info when driving along the Icefields Parkway. 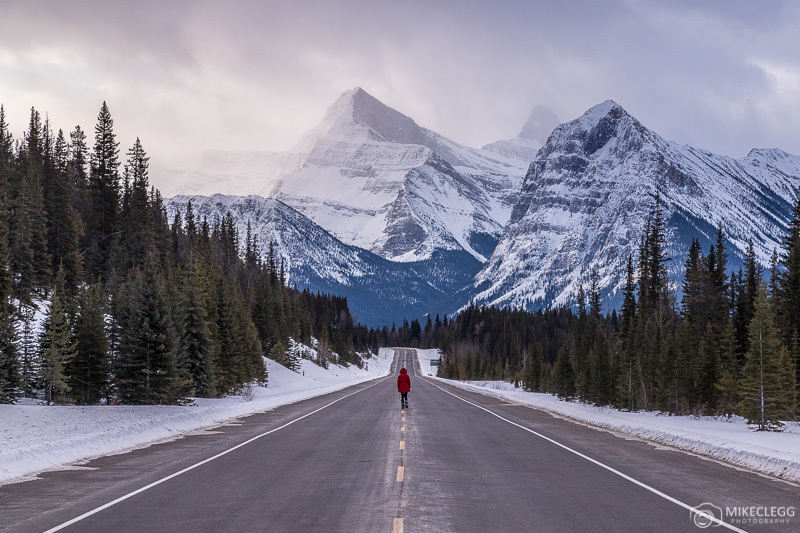 Seeing the Canadian Rocky Mountains is an incredible experience and a drive along the Icefields Parkway is something everyone should do once in their life. Visit my post How to Visit the Canadian Rocky Mountains in Alberta for more tips on planning your trip.